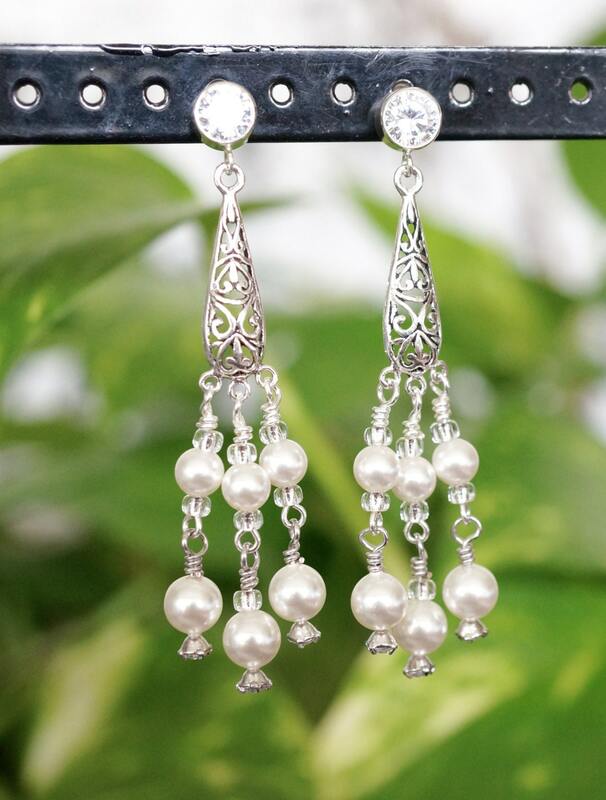 Here you have a spectacular pair of bridal earrings! 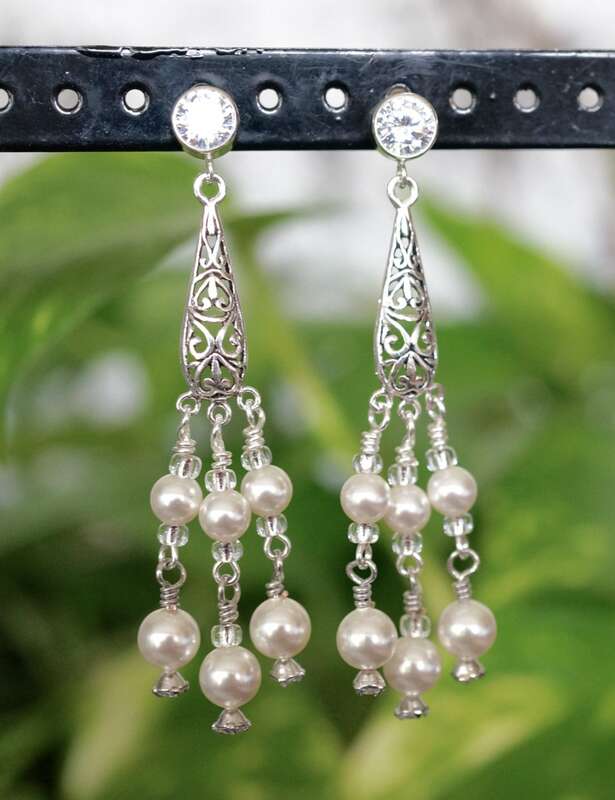 These chandelier post earrings are made with white Swarovski pearls in different sizes. The scroll component is stamped .925. 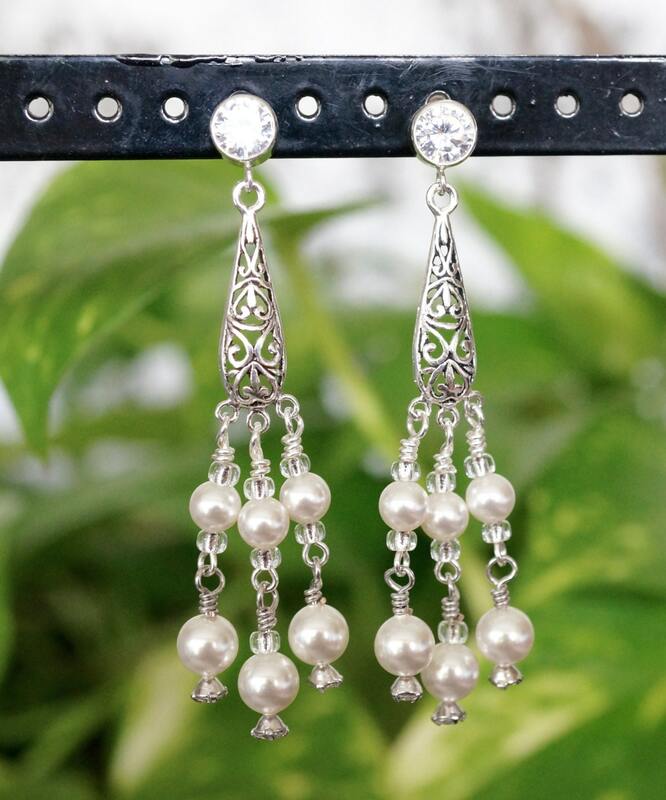 The CZ posts are also sterling, as well as the pins used. They are 2.5 inches long.